Ever since he shot to fame in 1990 by winning the ‘Win a Car’ Championship, Fernando Anuang’a has performed his Maasai-styled contemporary dance literally all over the world. Anuang’a returns to the Kenya stage this Saturday when he’ll dance from 4pm at Alliance Francaise. The Kenyan choreographer and dancer will perform his latest choreographed solo piece entitled ‘Traditional Future’. The Paris-based dancer fell in love with the Maasai-style of vocals and movement during his secondary school days when he first performed at the Kenya National Music Festival. 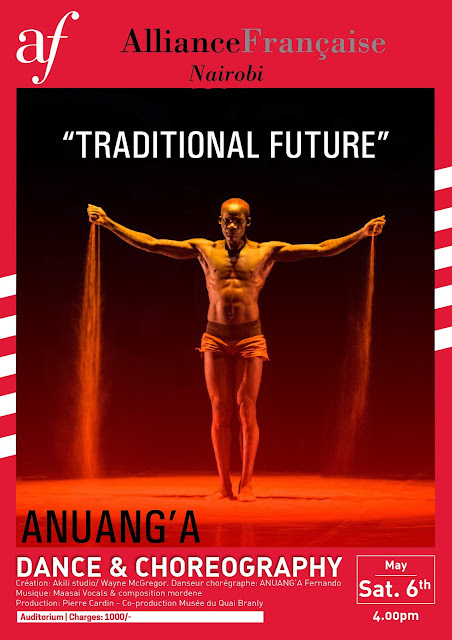 Soon after that and after making that major ‘splash’ during the ‘win-a-car’ competition, Anuang’a joined the Raw Watts contemporary dancers and hasn’t stopped attracting global audiences ever since. But it was during his travels with the African Heritage Festival in the 1990s that Anuang’a decided he’d have a better future dancing his way around Europe. Making his base in Paris, the Siaya-born dancer has been choreographing and performing his own original works ever since. ‘Traditional Future’ has already been staged in France and Italy, but it will make its Kenyan premiere tomorrow afternoon. It was originally choreographed while Anuang’a was working at the Studio Akili in Lamu. Since then, he’s performed it at the Musee du Quai Branly in Paris. It was produced by the renowned French Fashion Designer Pierre Cardin. Subsequently, he danced it at the Theatre Cucinelli in Solomeo, Italy. Anuang’a’s initial appeal was not just his style of Maasai dance. It was also his beautifully-toned and taut body which he covered in red ochre paint mixed with cow fat. Dressed in a brief red loin-cloth that he’d sparingly draped and snugly wrapped around his waist, the only other accessories he wore were a beaded Maasai necklace and belt. 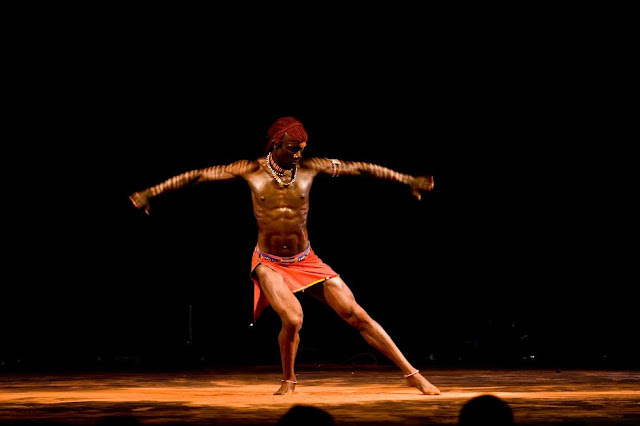 Anuang’a style of contemporary dance works well with his scanty Maasai-like attire since he seems to flex every single muscle in his lean, muscular body as he performs, moving in a sensual style that only enhances the Maasai mystique. Meanwhile, at Kenya Cultural Centre the Nairobi Performing Arts Studio just opened its second semester registration for classes that will begin May 15. Further details can be found at the NPA-studio website and on social media.